Is sustainability one of your company’s objectives this year? As the Year of the Pig approaches, many companies are organizing a staff dinner, a great opportunity for your company to be both more sustainable and convey conservation messages to staff. Do you know that on average at least five or more seafood items are listed on the banquet menu including some hidden seafood ingredients? The seafood choices that corporations make can have a huge impact on our ocean resources. Some of the seafood items that have been commonly consumed at banquets may not be sustainable. Grouper is a good example as some farmed members of the species are on the Red-Avoid category of WWF-Hong Kong’s Seafood Guide. 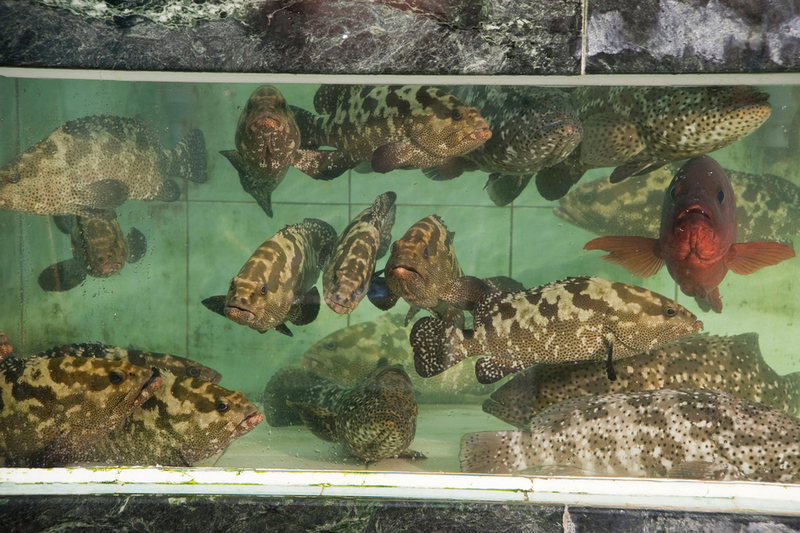 Some orange-spotted groupers are farmed in Thailand and some Sabah groupers are raised in Malaysia. Farming in floating net cages, where waste is directly discharged to the sea, pollutes the surrounding waters and may have a negative impact on the environment. In addition, Sabah grouper, a hybrid species of giant grouper and tiger grouper, is not a naturally-occurring species. There have been reports of this fish escaping from the sea cages to the wild, potentially disruptive of the natural ecosystem and food chain. Luckily, there are alternatives on the market! Responsible corporate consumers can choose the seafood that comes from a well-managed fish farm or fishery, with reference to the Seafood Guide. To make a contribution to safeguarding our precious resources on Earth, WWF-Hong Kong encourages companies to set up an internal Sustainable Dining Policy to avoid consuming unsustainable food at corporate events. Sign up to our Corporate Sustainable Dining Pledge to receive suggested guidelines and a list of food items that should be avoided. For details, please send us an email at wwfseafood@wwf.org.hk.